I love it! You guys know how I am with height (go big or go home)...but this is appropriate...very Nashville...and really adds to that neighborhood. I hope the park is private/public otherwise it will be a homeless encampment. Really like how this building will bring contrast to the mostly glass buildings in the area. I would have loved for it to be taller, but I really do like the look of it a lot. Yeah I'd be really interested to hear more details about the park. IMO that's one of the biggest deficiencies of the gulch as a neighborhood, but why are they putting valuable land into it? Are they doing it like jw marriott, as a temporary arrangement, or is there some kind of deal with metro? Very nice! Good contrast to all of the other developments in this area. The only thing I see wrong with this is there needs to be either solar panels or a green roof atop it to reduce heat kept by a blank roof or at least create power for the building. That said, it's fantastic otherwise and really makes it pop within a sea of glass. Yes! I love this on so many levels. The park is a great addition. Awesome infill for the Gulch. I'm liking the diverse architecture. That Church Street park is unfortunately placed right across from the free restrooms and AC/heat of the library. How does the Ascend park fair with the homeless? I think this project looks fantastic. 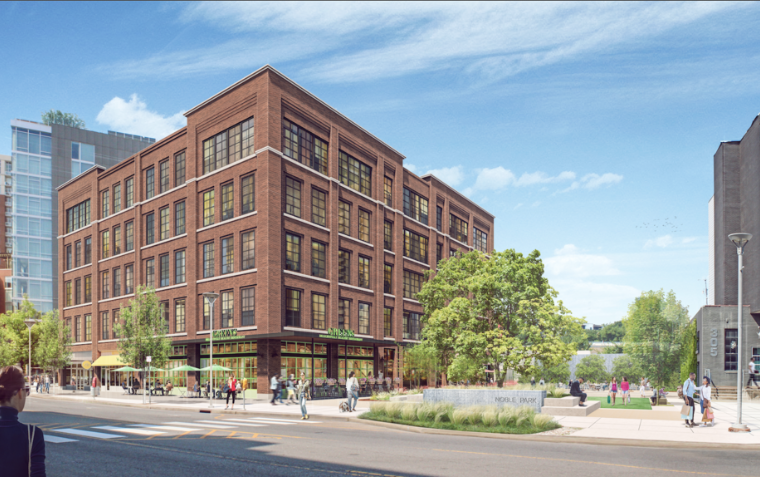 Great looking brick building, plenty of street activation, green space, what’s not to like? I love how the Gulch is getting such a good mixture of office, residential, hotel, and retail. It creates an almost 24-hour neighborhood. It’s not as bad as the Church Street park, but quite a few camp out in Walk of Fame Park, under the pedestrian bridge, and Riverfront Park. They hang out there too but not as much because there are no trees for them to hide in like ninjas. I have seen some creepy people in the dog park trying to mess with someone else's dog and also tried to go to the public restrooms there and low and behold a grouping of homeless folks hoarding the bathrooms. They will also hangout in the tunnel that runs under KVB. Crossing my fingers that the bridge falls through somehow, that'd help on this front. So now we're actively rooting against the construction of beneficial civic projects because homeless people might also find them pleasant places to be? Seems... misguided? If they don't do anything on the roof (other than the unsightly mechanical units that they ultimately are not showing in the renders) I would hope they would do a white TPO/EPDM roof. It is amazing how much energy would be saved by just having a white roof up there. Drop heat island effect, but also keep the mechanical units much cooler and running more efficiently. I love the use of brick and a desire to make this building a bit "older". So much of new developments around the county are fixed on glass, that it takes away alot of character from the style. I am not exactly what one would call a height advocate, but I was wondering this the other day about height in the gulch. Outside of Icon and the Thompson, why are all the buildings 5 or less stories? When the gulch neighborhood was planned was it a zoning thing? There's height, just not mega-tall. You've forgotten: Mercury View, Terrazzo, Gulch Crossings, 1212 and I'm sure there are a couple I've forgotten about. Is building the bridge JUST beneficial, or are there also costs? And if there are costs can we not discuss them openly? We would be fools not to consider all sides of an issue. I believe Leif is a local to the Gulch and has every right to share concerns on items which may negatively impact his quality of life. 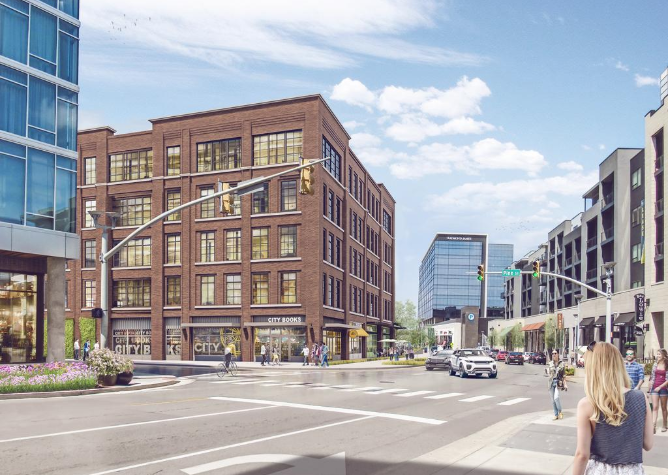 Market Street Enterprises is a well-run developer and hopefully will proceed cautiously to prevent unintended consequences which may kill the golden goose that is the Gulch. The much-discussed Church Street Park is a perfect example of a 'benefit' costing more than its worth. Metro cannot raze the park fast enough for downtown residents. The financial cost is a separate issue altogether, and I never said we shouldn't consider all sides of the issue. All I did was offer my take on the issue. I believe Leif is a local to the Gulch and has every right to share concerns on items which may negatively impact his quality of life. Who even came close to suggesting he doesn't 'have a right' to express his opinion? I don't understand this reflex of pretending that someone merely offering their opinion is actually trying to stifle opposing opinions. 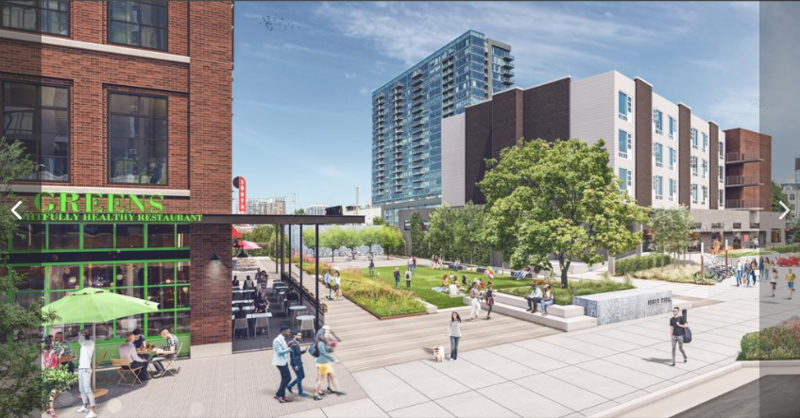 Market Street Enterprises is a well-run developer and hopefully will proceed cautiously to prevent unintended consequences which may kill the golden goose that is the Gulch. The much-discussed Church Street Park is a perfect example of a 'benefit' costing more than its worth. Metro cannot raze the park fast enough for downtown residents. You are right to say that caution should be taken, because it is possible for things to get out of hand, as you accurately pointed out. All I am saying though is that I think it is rather foolish to make the argument that we should essentially do away with the concept of pleasant public spaces because gross homeless people might enjoy those spaces as well. So the guy defending the homeless from the degradation coming from people who live in the literal ivory towers that surround them is the elitist in this scenario. Makes sense. I was talking about 'costs' above and beyond the financial.... such as Leif's concern of an influx of homeless, some criminal or anti-social, as a result of the new short-cut the bridge would bring. Your take seems to be more an aside critical of Leif's statement and less of one defending the bridge. If I am wrong then "my bad". All the virtue signaling in the world will not help even one homeless person. Building a park that attracts homeless people, down-and-out, criminal or insane - all while lowering the civic participation of residents, will not help even one homeless person. Agree, I think we're focusing on the wrong thing. Homelessness is a whole separate issue that all cities need to tackle, but it's not a reason to say we're going to quit building parks and civic spaces. I'm not really concerned about the bridge so much because of the homeless issue, though I know it is a concern that has been voiced. I just think it is a expensive boondoggle now that the stairs/elevator exists in Crossings. I'd advocate taking that 30 million or whatever it is presently and putting it into homeless programs, affordability programs, etc. I don't think it is a simple deal to reallocate the funds but I think there are better uses 4-5 years on from the bridge's first announcement. "The future of Nashville is under construction now. Future generations have to live with what we, as developers, create. That places a heavy responsibility on us to be excellent—to only be involved in quality developments. Alex S. Palmer & Company is totally committed to developing space that is as functional and aesthetic as we can possibly make it ... for out time and for the future." If Alex can wait for WES, we can too. This is from a Sept. 27, 1987 Tennessean ad I found while rummaging through some drawers. Come on, Alex, the suit fits now. Build us our buildings. This development is large enough that it deserves it's own thread. Lifestyle Communities will develop another great looking residential community in the Rutledge Hill area covering the better part of two blocks running along the north side of Ash Street between 2nd Ave. South and the west side of 3rd Ave. South. The second phase is rumored to be 6 stories tall and will encompass about 430 apartments, and will cover about 1.44 acres between 3rd and 2nd Avenues South. No renderings nor word yet on start date for the second stage. 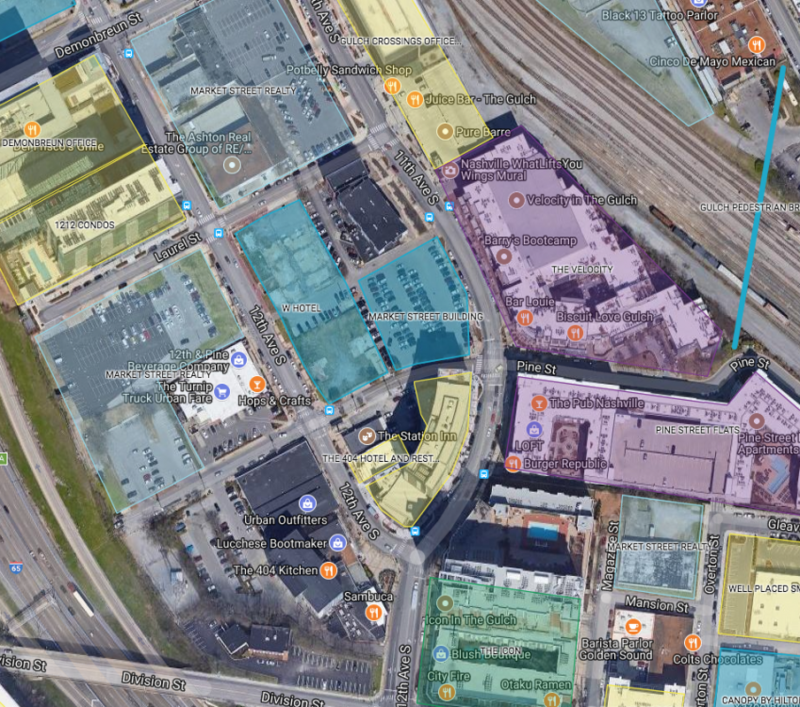 My guess is that there will be some retail/restaurant space incorporated into at least a portion of the ground levels, as that is what Lifestyle Communities is doing with it's similar-sized development in Germantown. 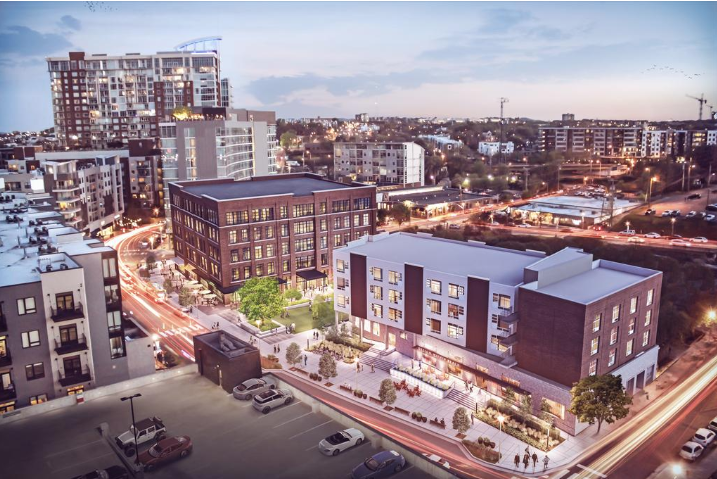 I really like the design on Phase I, and if the rest of the project reflects the same dynamic, I think this will be a very nice addition to that neighborhood. Classy stuff, just like the development they are putting together in G-Town. An 11 story, 136' tall boutique hotel that would include 112 rooms, an "electric gastro pub," a subterranean upscale restaurant/wine cellar, 32,000 sq. ft. fitness facility, 7,000 sq. 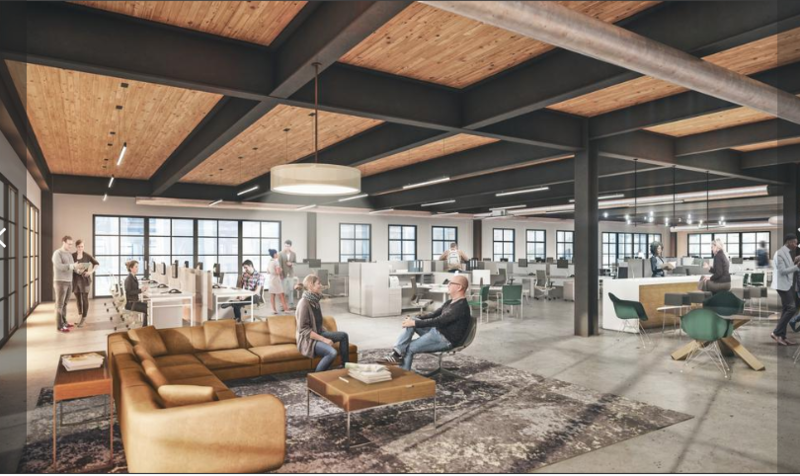 ft. spa, a boutique performance venue, screening and writing rooms, rooftop pool/lounge, and more will be located at 10 11th Ave. South, backing up against the CSX tracks at the T intersection of 11th and McGavock St. Price tag will be $70 million. The developer is Chris Hyndman of M Street Entertainment. Ground breaking will be 4th quarter of this year, and a summer 2020 completion is the goal. Currently the lot is utilized for surface parking.